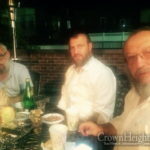 As the Rebbe’s 115th birthday nears, Bochurim around the world are preparing by giving a ‘Birthday Gift’, and following a request of the Rebbe, it is appropriately connected to Torah learning. 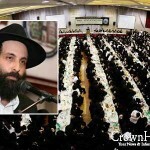 Completely unexpected by the Chassidim present at the Purim Farbrengen, the Rebbe began speaking about his upcoming birthday, and requested that the gifts people give should be connected to an increase in Torah study. In that spirit, the Vaad Talmidei Hatmimim has launched a comprehensive program for Bochurim in Yeshivos the world over to help them prepare for Yud Alef Nissan, and unite together in their gift to the Rebbe. The two-part Mivtza is uniquely designed to include Bochurim on all levels, whether seasoned in the Rebbe’s Torah or on a beginners level. For the second time, the Vaad has published a Kovetz with 75 letters culled from over 10,000 in the 32 volumes of Igros Kodesh. Through learning these holy letters, one gains insight into the Rebbe’s view on countless issues and they serve as a guide for day to day life. The product of countless hours of work, this unique Kovetz assists it’s reader with key tools to understand the letters. Some of these include: a short introduction to each letter with relevant background information, translations, and explanations on the more difficult paragraphs. In addition, the Mivtza includes 3 tracks of learning, ranging between 75 and 230 letters to include Bochurim on all levels. 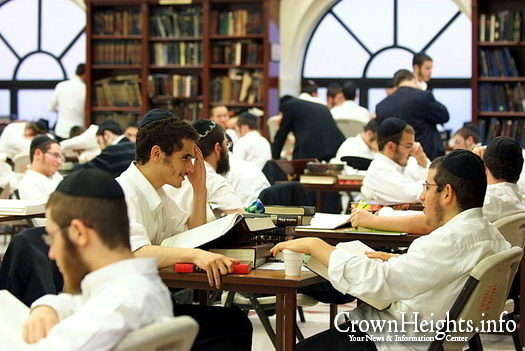 As the Bochurim learn and grow in their knowledge and connection to the Rebbe, there are also incentives to help keep them going. Prizes such as sets of Likutei Sichos, sets of Igros Kodesh, tickets to the Rebbe for 11 Nissan, and others, provide that extra boost. With many individuals and communities expressing interest as well, The Vaad has made the Kovetz available for purchase for the discounted price of $3. Further discounts are available for schools and institutions. As part of the year-around curriculum on Likutei Sichos, a new Kovetz on the topic of “Nossi Hador” was released. The Kovetz includes Sichos for the weeks leading up to Yud Alef Nissan, with many tools to help learning and understanding the Sicha. Some of these include and introduction to each Sicha, headers, footnotes and summaries. This Kovetz is available complimentary at the Vaad Hatmimim. The Vaad Hatmimim programming is made possible through the generous ongoing support of Mr. Sholom Laine, Keren Meromim, Keren Ohr Chana – Paris and Rabbi Moshe Kotlarsky. Right after the Birthday learning, they will start to count down the days to when the doors to Yeshiva close (for three months for summer “vacation”).